You are here: Home / News & Events / Help Peyton Acquire An Accessible Vehicle! 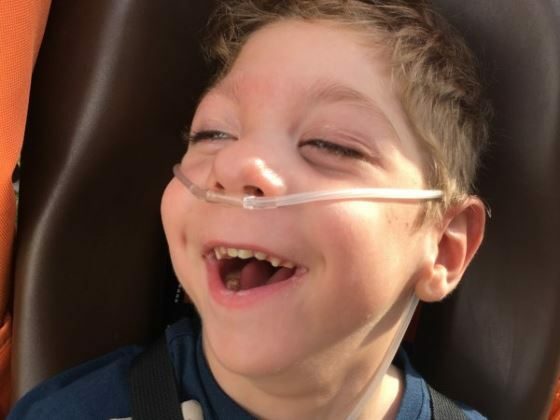 Thanks to our donors, HSF has been privileged to assist Peyton McCarthy and his family over the past several years by covering direct medical expenses as well as therapy sessions, specialized equipment, and comfort items. Peyton and his twin brother Kyle were born at just 28 weeks, 5 days due to complications mom Nichole experienced with the medical condition pre-eclampsia. Peyton weighed 2lbs 5oz and Kyle weighed 2lbs 3oz at birth. Both babies were found to have patent ductus arteriosus (PDA), a congenital disorder in which part of their hearts weren’t closed yet. Doctors tried to fix the PDA with 2 rounds of Indocin. It worked for Kyle, but not for Peyton. At 2-weeks of age, Peyton contracted Necrotizing Enterocolitis (NEC), the most common and serious intestinal disease among premature babies. This condition postponed a heart surgery to repair his PDA ligation. The lack of blood flow caused PVL, a type of brain damage that involves the periventricular white matter of the brain. 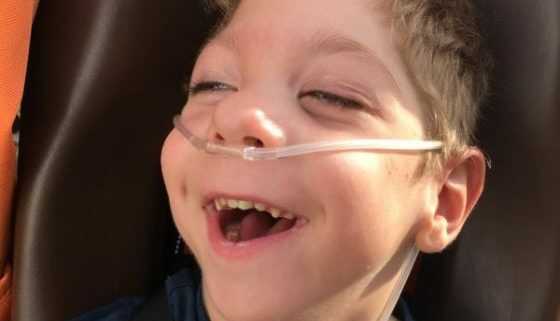 Peyton currently suffers from Cortical Visual Impairment, he has lost 30% of intestine, is tube fed, and his most significant challenge remains moderate/severe quadriplegic spastic Cerebral Palsy. Despite these incredible challenges and the occurrence of periodic seizures, Peyton is doing okay. The family of six works diligently to spend time together, especially since they don’t know how long Peyton will be with them. As a result, the McCarthy’s are looking to acquire a new (or low mileage) van that will continue to allow the family to maximize time together. If the family can acquire a new van, they have secured a Medicaid waiver to cover the modification cost for a “valet seat” which will provide easier access to get Peyton into and out the vehicle.